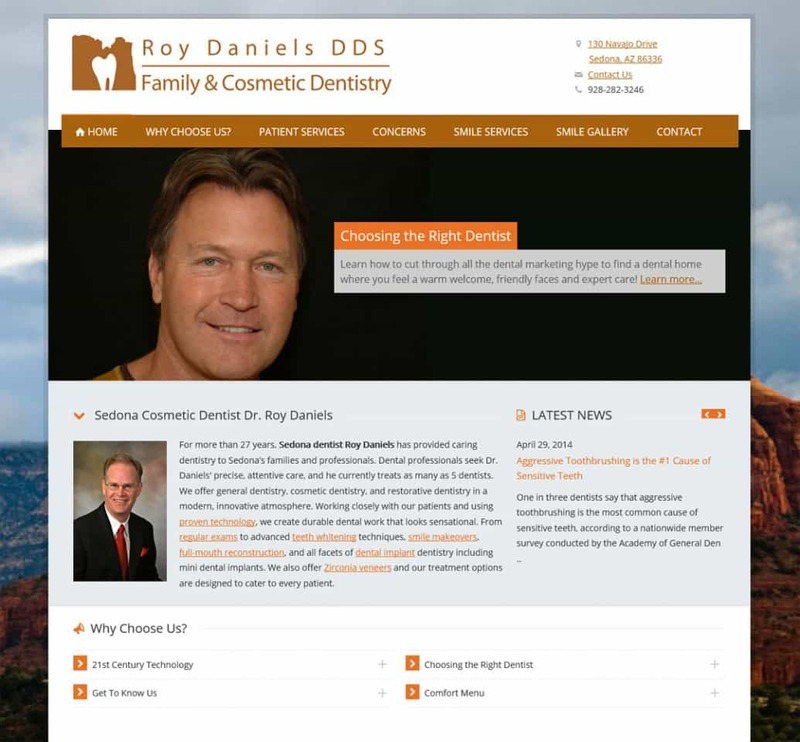 For more than 27 years, Sedona dentist Roy Daniels has provided caring dentistry to Sedona’s families and professionals. Dental professionals seek Dr. Daniels’ precise, attentive care, and he currently treats as many as 5 dentists. We offer general dentistry, cosmetic dentistry, and restorative dentistry in a modern, innovative atmosphere. Working closely with our patients and using proven technology, we create durable dental work that looks sensational. From regular exams to advanced teeth whitening techniques, smile makeovers, full-mouth reconstruction, and all facets of dental implant dentistry including mini dental implants. We also offer Zirconia veneers and our treatment options are designed to cater to every patient.